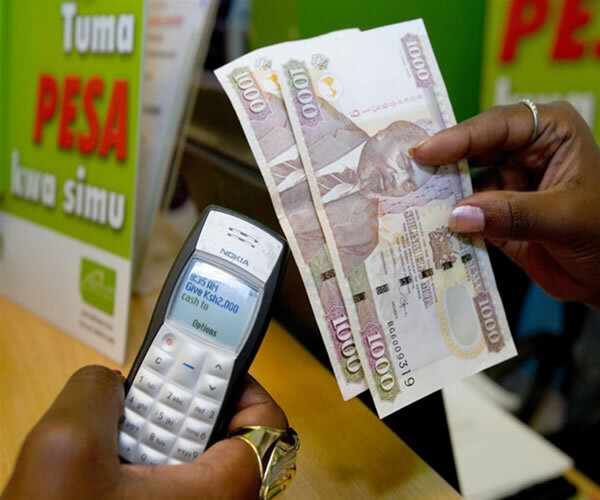 Kenyans intensified use of mobile phone cash transfer services last year, with the East African nation’s citizens making transactions worth over 16.2 billion U.S. dollars, Central Bank of Kenya’s (CBK) latest data indicated. This was an increase of more than 2.7 billion dollars from transactions made in 2011, which stood at 13.5 billion dollars. The CBK data, which covers until November 2012, indicated that Kenyans made more mobile money transactions towards the end of fourth quarter of last year. According to recent statistics, transactions rose as the year neared the end, with Kenyans sending an average of 1.6 billion dollars per month in the last quarter of 2012. This was from about 50 million transactions each month. The data showed that the transactions were on the rise from the beginning of the year. In January 2012, Kenyans made transactions worth 1.3 billion dollars. The figure rose in February and March 2012, standing at 1. 35 billion dollars and 1.46 billion dollars respectively as popularity of mobile money surged in the East African nation. The upward trend was experienced in the subsequent months of last year, with Kenyans sending 1.6 billion dollars in October 2012 and 1.61 billion dollars in November. The figure certainly peaked in December 2012 due to the festive season, where most Kenyans sent and received money from their kin. Unlike in 2011 where Kenyans in some months made transactions worth less than 1.16 billion dollars, in 2012, all transactions made each month surpassed the mark. This shows that many Kenyans turned to their mobile phones to send, receive or save money. The data indicated that as at November last year, the number of mobile money subscriptions stood at 20.3 million. This was an increase from October, where subscribers stood at 20 million and in September 19.7 million. In January 2012, the number of mobile phone subscriptions stood at 19 million and in June 2012 subscriptions rose to 19.8 million. However, despite the minimal increase of subscribers between January and November 2012, the number of transactions during the period went up as compared to the previous year. As at November last year, Kenyans had made over 521 million mobile money transactions. This was an increase of over 88 million transactions from 2011’s, which stood at 423 million. Last year, the regulator’s data indicated that Kenyans made an average of 48 million mobile money transactions per month. In January, the subscribers in the East African nation made 40. 2 million transactions, the figure increased to 46 million in March and 49 million in September. In November, transactions peaked to 54 million, the highest ever in the East African nation. In 2011, the highest transactions Kenyans made per month stood at 42 million in December, and the lowest was in January at 28 million. The number of transactions, like amount of cash transacted and number of subscribers, has been on a steady rise since 2010, where Kenyans made 311 million transactions, worth 8.5 million dollars. The number of subscriptions then stood at 16.4 million. This means that in three years time, Kenyans have doubled the amount of money transacted on mobile cash transfer systems. According to the CBK statistics, Kenyans made most mobile money transactions in the last quarter of the year. This has been consistent in the last three years, with the amount of money peaking in December 2012. In 2010, December transactions stood at 892 million dollars and in 2011, 1.37 billion dollars. Last December’s figure, according to the trend, is expected not to be different. And as money transacted and number of subscribers rose, the number of mobile money agents also increased considerably last year. The data indicated that as at November, there were 75,226 mobile money agents across Kenya. The number had increased from 70, 972 in October. In January 2012, the figure stood at 52,315, in March 55,726 and in September 67,301. The number of agents has been equally on consistent rise for the past three years. The sector has emerged as one of fastest growing sources of employment for Kenyans. In 2011, the number of mobile money agents stood at 50,471, according to the CBK data. In 2010, the agents were 39,449. The number of agents is expected to rise further as mobile phone service providers in the East African nation, namely Safaricom, Airtel, Yu and Orange , intensify competition between themselves. Last year saw the telecommunications battle to increase their market share in the mobile money sector, with Airtel recruiting more agents across the East African nation and starting free cash transfer services. However, Safaricom remains the dominant mobile money service provider in Kenya, with Communication Commission of Kenya (CCK) data indicating that the company had 19.5 million subscribers as at June last year. CCK noted that mobile money has been one of the greatest value added service in the mobile industry in Kenya . The service, according to CCK, has helped to deepen financial inclusion, particularly for the un-banked population, facilitate ease of doing business through mobile payments and enables seamless transfer of money.